October 1939. "Young migrant mother has just finished washing. Merrill Farm Security Administration camp, Klamath County, Oregon." View full size. 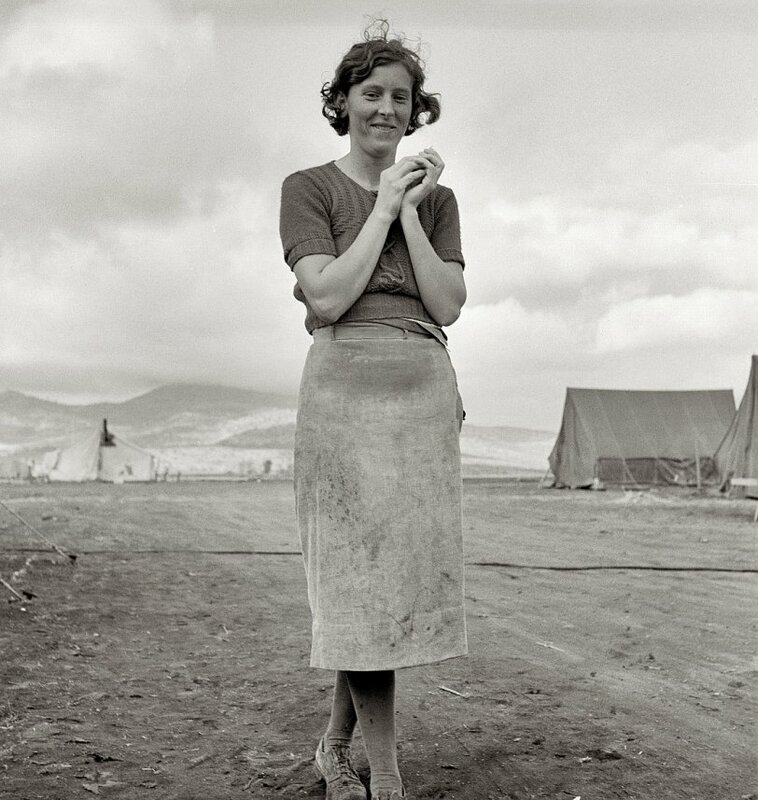 Medium format nitrate negative by Dorothea Lange for the FSA. Submitted by JackCoupal on Sun, 01/27/2008 - 9:40am. Looks like a Soviet work camp on a good day. Can't be in the US. Submitted by Berkeley Bill on Sat, 01/26/2008 - 8:00pm. Lovely picture. She's taking a little break after all her hard work. Submitted by Duane1947 on Fri, 01/25/2008 - 4:36pm. Such a lovely smile and pose....immediately like the lady.